9.8mm x 23.99mm / 0.386in. x 0.945in. Stethoscope Charm by Rembrandt Charms. The height is 1 inch. 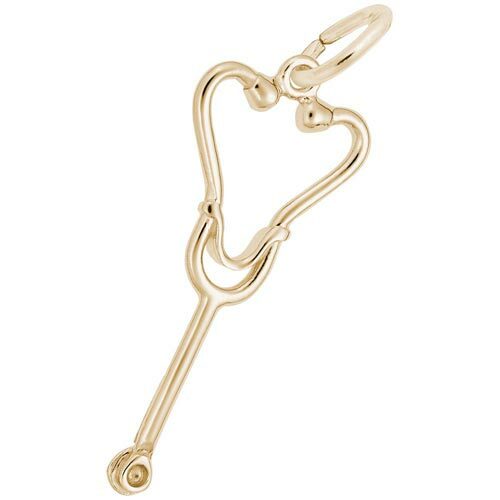 Listen to your internal pulse with the Stethoscope Charm. Any medical professional will appreciate this charm for their charm bracelet. The medical jewelry piece can be placed on a necklace as a pendant or will be a wonderful addition as a charm for a Charm Bracelet. All Rembrandt Charms are available in either silver or gold.